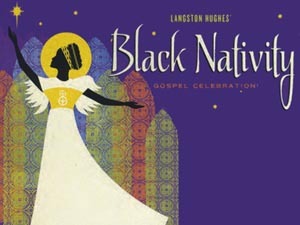 Produced by the National Center of Afro-American Artists, Black Nativity is a joyous account of a miraculous event of 2000 years ago. It’s a celebration that tells the original story of the Nativity in scripture, verse, music, and dance. Based on the Gospel of St. Luke, combined with the poetry of Langston Hughes, this song-play touches a special chord in the hearts of all. This legendary Christmas event, the Black community’s Christmas gift to the world, is without a doubt a theatrical wonderment. A joyous company of singers, actors, dancers and musicians delivers its powerful message of joy, hope, victory, and liberation. Boston’s captivating production is the longest-running performance of Harlem Renaissance poet Langston Hughes’ song-play in the world. Run time is 85 minutes with no intermission.